Name of Post: Field Biologist. Minimum 6 months of experience in camivore ecology/ monitoring. Experience in QGIS, MARK, Distance software. Fluency in English and Assamese language. Remuneration (Fixed): Rs.30,000/- per month. Educational Qualification: Graduate in computer application/ PGDCA/ Graduate in any other discipline with Diploma/ Certificate course in Computer Application from a recognized institute/ University. Desirable: Fluency in Assamese language. Remuneration (fixed): 15,000/- per month. Age: 18 to 30 years as on 15.09.2017. Relaxation details refer to the official advertisement. 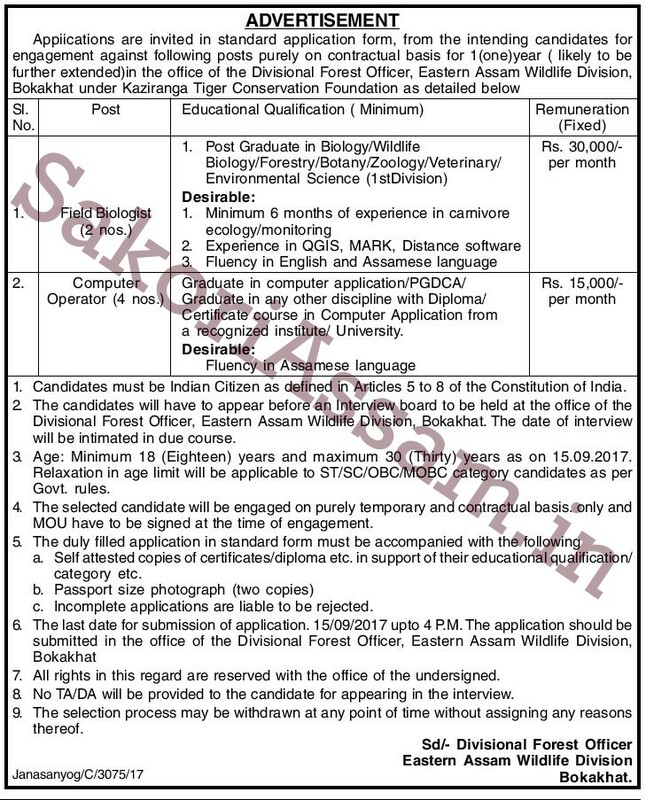 The candidates will have to appear before an interview board to be held at the office of the Divisional Forest Officer, Eastern Assam Wildlife Division, Bokakhat. The date of interview will be intimated in due course. Selected candidates will be engaged on purely temporary and contractual basis. Only and MOU have to be signed at the time of engagement. Self attested copies of certificates/ diploma etc. in support of their educational qualification/ category etc. Last Date: 15.09.2017. 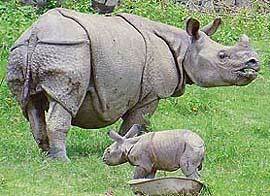 The application should be submitted in the office of the Divisional Forest Officer, Eastern Assam Wildlife Division, Bokakhat.